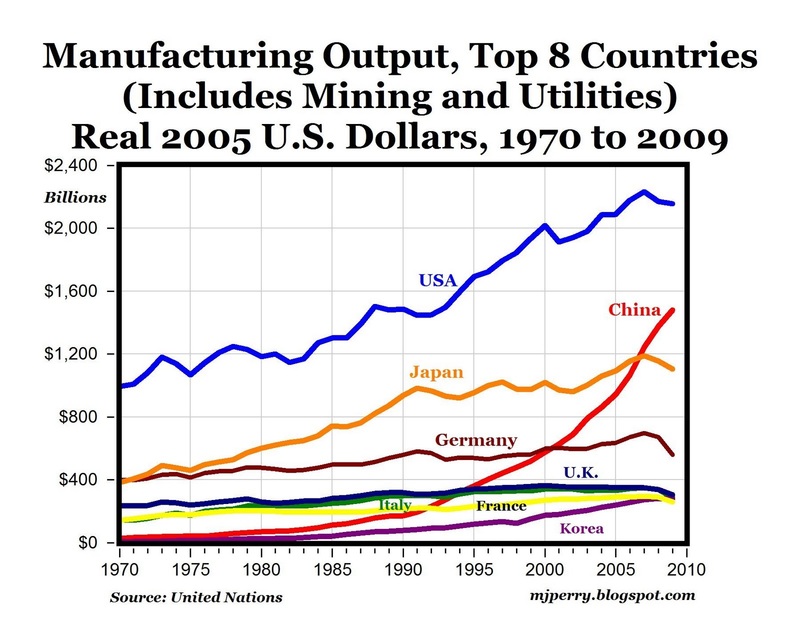 Roger Kerr of New Zealand’s Business Roundtable has a nifty post on the decline in U.S. manufacturing. It just ain’t true, folks. 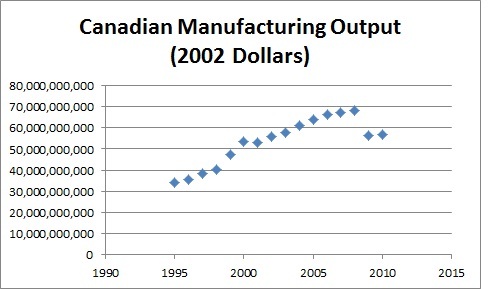 Meanwhile, taking CANSIM’s Monthly Survey of Manufacturing and adjusting to the Bank of Canada’s general CPI we find that, great recession aside, the story is similar on this side of the border.